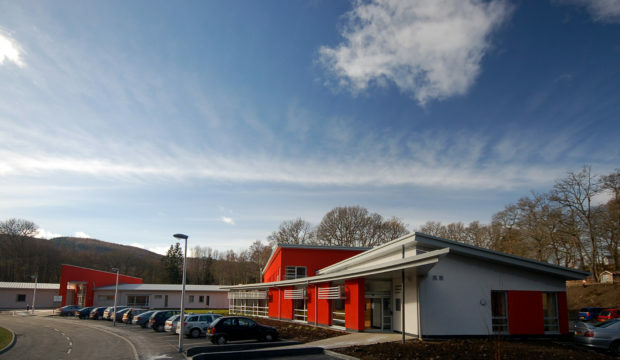 The Minor Illness and Injuries Unit (MIIU) at Pitlochry has had its opening hours restricted as a result of ongoing problems recruiting staff. Now Health Secretary Jeane Freeman has confirmed the unit will be replaced in October by a new “Care and Treatment Hub”. The redesigned centre, which will be shaped with help from locals, will focus on medical matters such as blood-taking, wounds, ulcers and sutures, with the aim of increasing access to appointments. Ms Freeman said the hub will free up time for the area’s GPs. The plan was revealed to local Conservative MSP Murdo Fraser during an exchange in the Scottish Parliament. “There is a lot of interest among residents living in Pitlochry and Highland Perthshire about what is being proposed with Pitlochry Community Hospital,” he said. Mr Fraser has asked Ms Freeman for more detail about the proposal. “I welcome the commitment to public engagement and look forward to hearing more details as they emerge,” he added. The proposals are being drawn up by the Perth and Kinross Health and Social Care Partnership. A spokeswoman said: “We are exploring a range of options to make services more sustainable and accessible for patients. She said: “Planning for the development of a hub in Pitlochry Community Hospital is in the very early stages. The partnership intends to work closely with GPs and residents throughout the planning process. “We are planning for a new care and treatment hub to be in place at Pitlochry Hospital before the end of the 2019,” the spokeswoman said. In the meantime, the MIIU remains open. Opening hours, which have been restricted for several months, will extend at the beginning of April from 9am to 6pm on weekdays and 9am to 9pm at weekends.